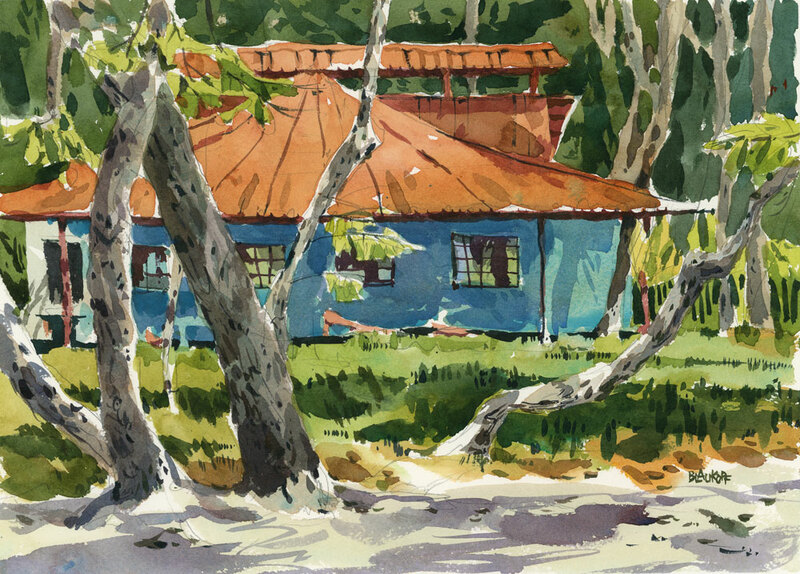 Costa Rica is a painter's paradise and I was happy to spend a few weeks there in December 2014. 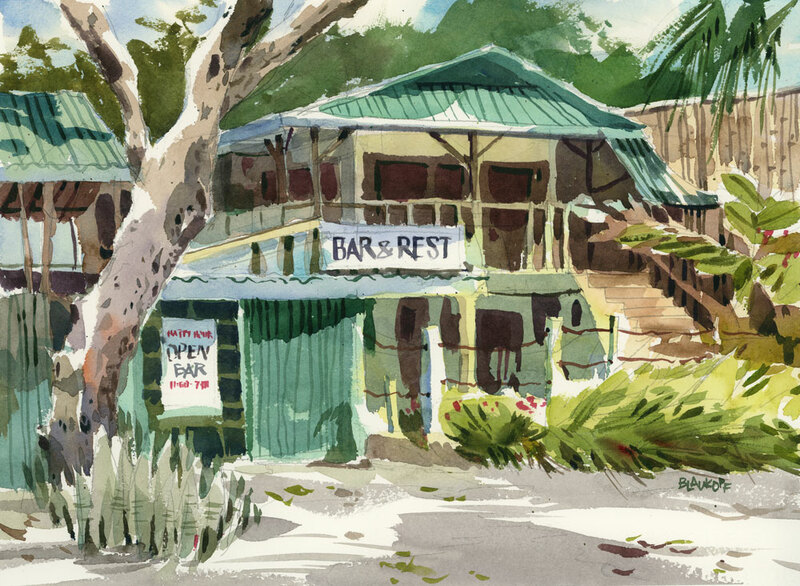 Since I don't often paint in tropical places, it took a while to adjust to the bright light and colours. 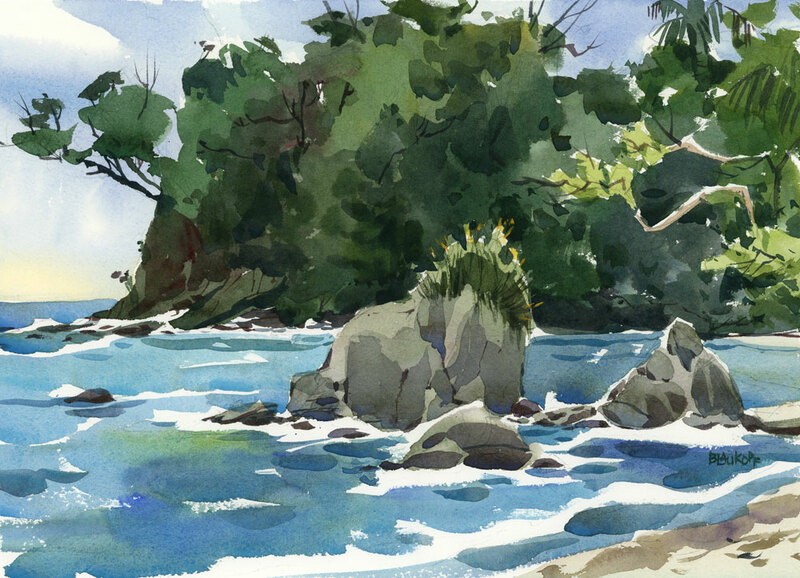 I painted mainly around Manuel Antonio National Park, often setting up my painting gear right on a towel in the sand — which worked fine most of the time, except for when a friendly dog stepped in my paints. Painting there required some adjustments to my northern palette, including the addition of colours that I don't often use in Montreal, such as Cobalt Turquoise and Permanent Magenta.